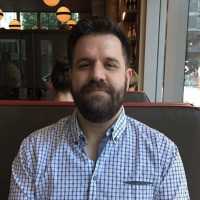 Have you ever copied something to the clipboard that you don’t want to leave there in case somebody else is going to use your computer? 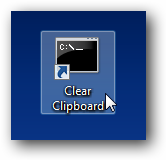 Sure, you can copy something else to the clipboard real quick, but can’t you just make a shortcut or hotkey to clear it? 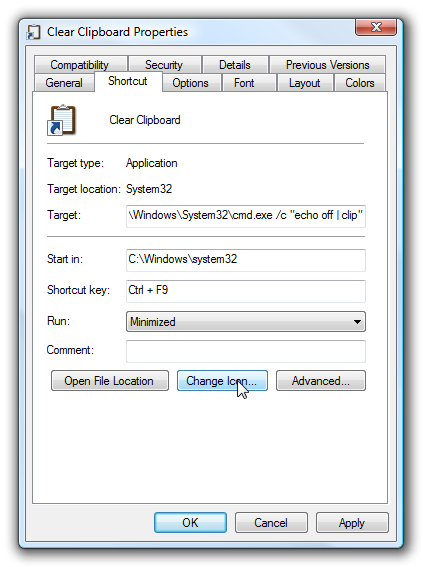 And of course you can, with the built-in clip.exe utility in Windows 7 or Vista. It’s not really meant for clearing the clipboard, but with a little command line magic in a shortcut, we can make it do just that. Note: This is also useful if you copied a very large amount of data to the clipboard and you don’t want it wasting memory anymore. 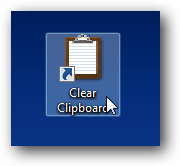 At this point you’ll have an icon that will immediately clear the clipboard… but we can tweak it a bit further. 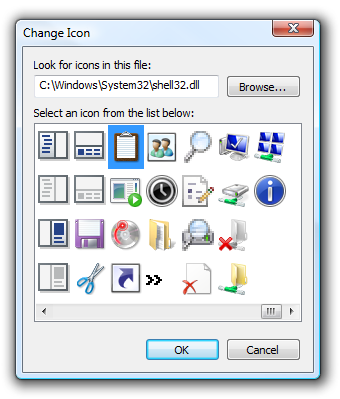 Right-click on the icon and choose Properties, and then change the Run drop-down to “Minimized” to make sure you don’t see the command prompt. You can also assign a shortcut key here. Note: If you are using Windows XP, you can download clip.exe from Microsoft. Just save the file in the Windows directory and the rest of the hack should work for you.